Domini Games made this day even better by releasing a new game into the Mystery Tales series. 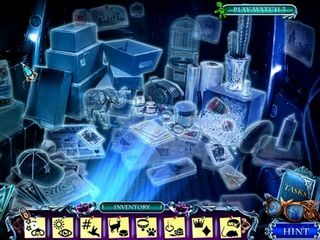 Mystery Tales: Her Own Eyes Collector's Edition is a great hiddne ojbect puzzle adventure game with an interesting twist in teh story. Your new eyes are going to help you assist the local police in finding the one behind all these murders hapenning in Hallstatt. 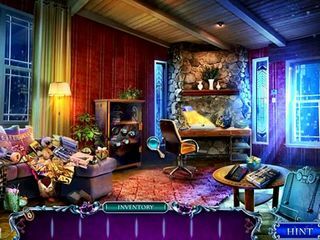 As the main character of the story you are going to investigate a really mysterious case. The way you get to it is quite interesting. Haveing just had an eye surgery and received new transplants, you soon realize that something is wrong with the way you see things. While the doctor says everything goes as it should, you begin to figure out that now you not only are able to see, but also to see ghosts. How about that? The ghost girl that you see after the surgery eventually leads you to Austria to a town called Hallstatt where girl after girl disappears. The game's graphics and audio create a perfect atmosphere for a sotry like that. The scenes are not gloomy dark , but still quite eerie with a lot of details. The voice overs are in sync with the characters' lips. There are some original concept art, wallpaper, and music to collect as part of the usual media extras. The game features four modes, one is wich is Custom where you can adjust a whole lot of settings to your taste. You get a few toold that you can use throughout the game. One of the them is glasses that allow you see the past, then there is a journal with the information that you need. You get a map and a strategy guide, too. The collectibles that this game offers you are quite interesting - stupid deaths files. Plus there are morphing objects. There are also over 30 achievements to add the challenge. All that is scattered across a whole lot of hidden ojbect scenes and puzzles of all kinds. 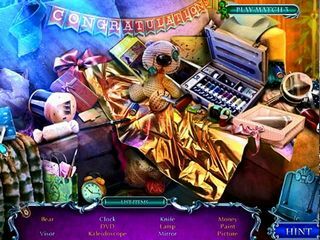 It is a great HOPA game with a really interesting story and a lot of challenging and entertaining content. This is Mystery Tales: Her Own Eyes review. Download this game here.